Savē is a financial literacy program at Dickinson. On November 30th, they will host a pop-up workshop focusing on the intersection of finances and studying abroad. 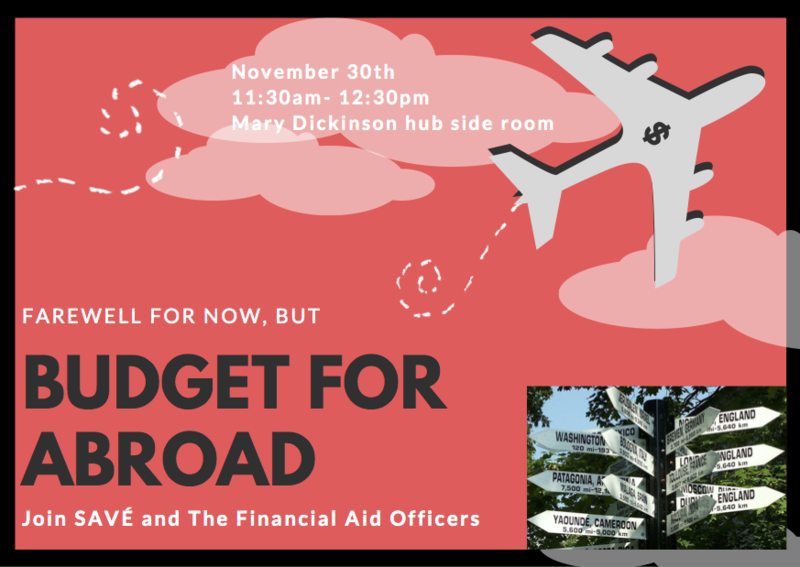 This is an opportunity to get answers to questions about budgeting for life overseas, how financial aid works for a semester abroad, how to work with Student Accounts for special circumstances while studying off-campus, and more. Representatives from several administrative offices will be present during this event, to provide a one-stop resource. Students can drop in between 11:30 am and 12:30 pm in the Mary Dickinson Room of the HUB – no appointment is necessary!